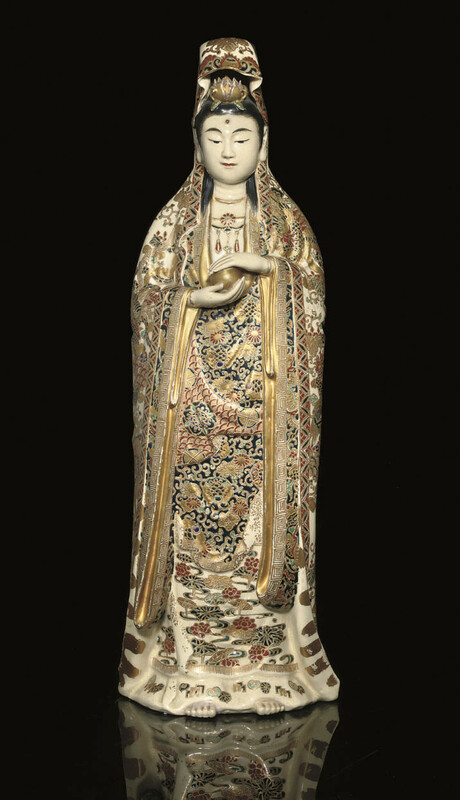 decorated in typical enamels and gilt, she stands wearing a cowl covering her chignon and a lotus flower, and flowing robes with phoenix and leafy go-shichi no kiri over another of chrysanthemum, revealing her bare feet, in her hands she holds the large sacred pearl, signed to the base in red beneath a Shimazu mon, Satsuma Gessan ga -- 18in. (46cm.) high.